Educational Qualification : 1 st Class three-year Bachelor's degree in Life Science (Zoology / Biochemistry / Microbiology / Biotechnology / Genetics) / relevant subject from a recognized University in relevant field. (i) Experience of working in health / medical research, documentation and preparing reports. (ii) Knowledge of Computer Applications. (iii) Basic Biostatistics knowledge. (iv) Superior knowledge of English language. (v) Good comprehension and communication skills. Job Description: The candidate will be required to develop quality publication, prepare scientific document (manuscript, posters, abstracts, policy brief, factsheets etc.) Ability to do literature search, synthesis and documentation. Preparation of presentation. 1. Age Limit i. Not exceeding 35 years for SC Category candidates against the reserve post for SC as on the last date mentioned above. ii. Person working in ICMR projects continuously shall also be eligible for age relaxation upto five years provided he/she entered into project service within prescribed age limit for the post. Other Service Conditions: i. Allowances as per Central Government Rules are admissible on the above mentioned pay scale ii. Benefits of new restructured defined contributory Pension System are admissible as per the provision contained in the Ministry of Finance, Department of Economic Affairs (ECB & PR Division), Notification No.5/7/2003-ECB & PR dated 22.12.2003 effective from 1.1.2004.
iii. Applications from employees working in Central/State Govt. 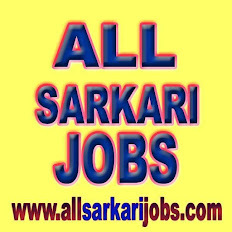 Departments/Public Sector Undertakings and Govt. Funded research agencies must be forwarded through proper channel. Advance copies of application will be considered subject to the conditions that a ‘No Objection Certificate’ from the employer is produced at the time of written test. Application received after the closing date will not be considered. Selection Procedure: All the eligible candidates will be called for the written test. The written test would be of 100 marks consisting of 100 objective/ MCQ type questions of one mark each for the correct answer. For each wrong answer 0.25 marks will be deducted. Out of 100 questions, 90 questions will be objective/ MCQ type and 10 objective/ MCQ for analytical skills. 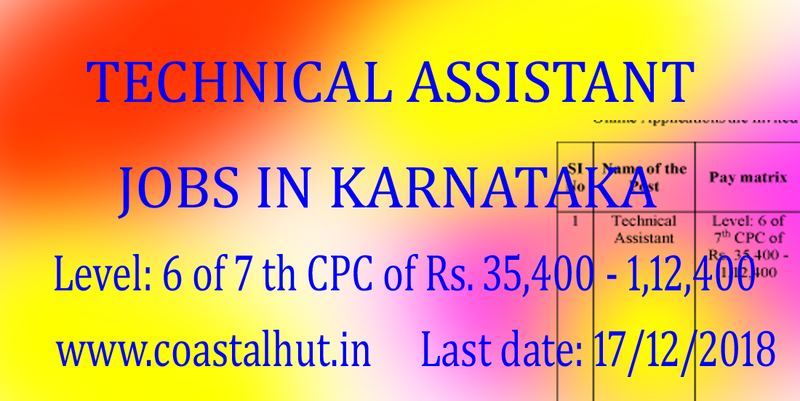 Jobs Bangalore, Karnataka, Technical Asst.